An outstanding line-up of presenters and trainers focused on understanding, guidance and practical experience. Guaranteed to provide much to take home. Celestial Blue Star of the Pleiades, is a Pleiadian Walk-in (July 1989), daughter of Blue Star the Pleiadian, receiver of the Blue Star Transmissions and messages from The Masters, and a bevy of other off-world highly evolved Beings. She is also a scribe for God in the God Book Series as well as the receiver of the messages from God when He wants information to be passed around to the public. She teaches the teachers of today and those who will be the teachers of tomorrow. Michelle DesPres has been intuitively advising people and businesses for 10 years. She is the author of The Clairvoyant Path, offering us a golden opportunity to join the global spiritual evolution and build a new life of peace, purpose, and higher consciousness. Adrienne Goff is an author, healer, and crystal energy expert who enthusiastically shares practical crystal healing techniques for uplifting your energy and life. Her book, “Crystal Healing for the Whole Being: 10 Practical Techniques for Personal Transformation,” is full of diagrams, color photographs, techniques, and clear instructions for creating crystal healing layouts and grids designed to help you shift into higher vibrational living. Lisa Greene-Culver has been a practitioner of the healing arts since 1990. She is a seer, psychologist, and has appeared on talk shows such as Living Successfully with Bob Keaton and has her own radio program, Living From The Heart. GW Hardin is a New York Times bestselling author, having written or co-written eight books having to do with true stories about the extraordinary. Hardin specialize in the bringing together of opposite worlds, using science and scientific research as a backdrop to his unexplainable stories. He is one of the foremost authorities on the angelic realm while also writing about the parallels that quantum physics has to metamessages from non-ordinary sources. Mark Kimmel has spoken at international forums, been a guest on radio and television shows, and has conducted workshops based on his unique insights into the current transformation of Earth and her humans. Mark is the author of Trillion, Decimal, One, Birthing a New Civilization and Transformation. He is the founder of the Cosmic Paradigm Network, an international group dedicated to manifesting a new Earth civilization, and the Institute of Light, a foundation dedicated to energizing Earth’s transformation. Victoria Liljenquist: International Lecturer, Recording Artist, Visionary, Clinical Certified Hypnotherapist, LTM, Clairaudient, Clairvoyant & Intuitive assists individuals to heal their Mind, Body & Spirit. She is a creator of Healing CDs for the subconscious mind & cellular memory. Victoria is an Award Winning Film Producer of the DVD Encounters with Angels, UFOs and Divine Messages. Dr. Norma J. Milanovich has been a visionary and channel for the Ascended Masters for over 20 years, and has appeared as a keynote speaker, worldwide, at hundreds of spiritual and UFO events. She is the co-author of The Light Shall Set You Free, We the Arcturians, and Sacred Journey to Atlantis, in addition to other numerous publications. Dr. Milanovich has also led spiritual journeys for the Celestial Hierarchy to nearly every country on Earth, always fulfilling agendas designed to raise Earth’s vibrational field that assist humanity in their Ascension Process. Ron Radhoff‘s profound spiritual experience in 1971 was followed by messages from guides, the Angelic Kingdom, the Deity, starbrothers and starsisters, and 5th Dimension beings from Inner Earth. Ron presents an expanded consciousness of what humans need to do to raise their vibrations to be compatible with the new Earth. He is the author of Evolving Life and Transition to the World Beyond. Sophia, Ph.D is a psychotherapist, shaman, author, and founder of Pathways to Soul Mastery. She specializes in reading Akashic and Galactic Records, and making Soul contact across parallel worlds, thus assisting clients in Soul Retrieval and the activation of extrasensory perceptions. Uqualla: The Havasupai Nation, People of the Blue-green Waters; Guardian of the Grand Canyon. the birthplace and homeland of Uqualla, Ceremonial HeartWays Priest. Mentored from infancy into the ancient ways by Medicine Men, Women, and Wisdom Keepers. Uqualla, Inspires. The novice, the curios, and the two-legged, rise to a new beginning, when in presence of Uqualla. Suzy Ward: Since her telepathic connection opened in 1994 with her son Matthew, who was 17 when he was fatally injured in 1980, she has published four books of information she has received from him and many other off-planet sources. A fifth book about her conversations with animals, published in 2009, came out this year with an addition. Suzy’s contact with all her sources continues, and Matthew’s monthly messages are distributed to 7500 subscribers worldwide. Pagosa Springs, Colorado Nestled high (elevation 7,000 ft.) in the San Juan Mountains in Southwest Colorado, Pagosa Springs features hiking, fishing, camping, skiing, and the world’s largest hot springs. The summer weather should be mild, daytime highs in the 70’s, nighttime in the 50’s. 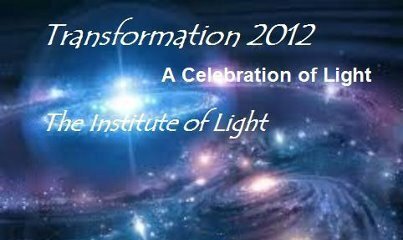 Most events connected to Transformation 2012 will take place at Pagosa Lodge.